Scotland in popular culture is so much about the Highlands, tartan and whisky and one doomed cause after another, that it's easy to forget that it's also produced some of the best engineers in the world. 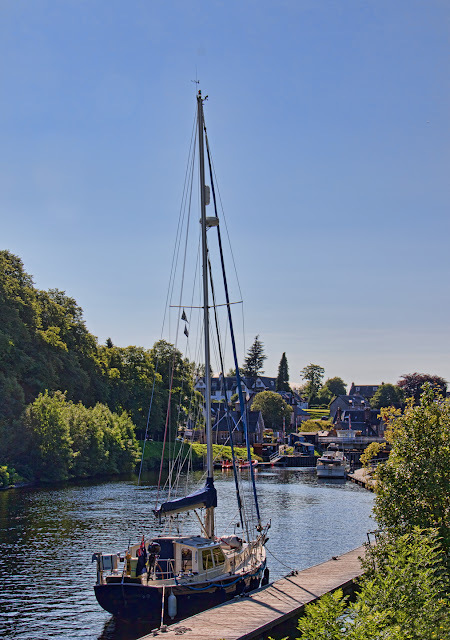 The Caledonian canal, built by Thomas Telford in the early 19th century, connects Inverness on the east coast of Scotland with Fort William in the west. It follows the Great Glen, the long valley that bisects the Highlands, linking the lochs that were already there with a series of canals, locks and aqueducts. This is Fort Augustus, where the canal meets Loch Ness.